Throughout the World Series of Poker there is a consistent buzz in the poker world, but there are several tournaments or stories that unfold that will rise above the normal level of excitement, and one of those events is tomorrow’s $111,111 One Drop High Roller tournament. 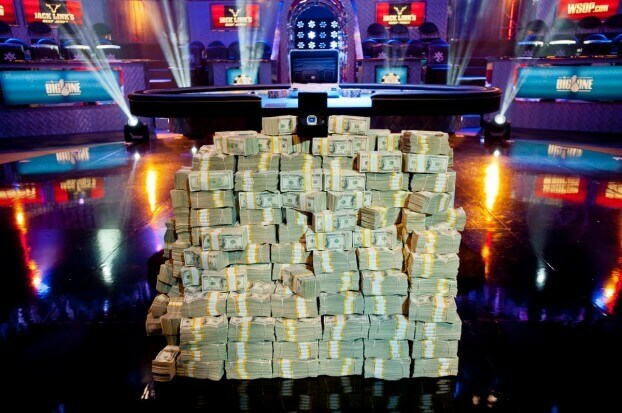 Last year the $1,000,000 buy-in Big One for One Drop tournament nearly stole the show at the WSOP, generating the kind of attention usually reserved only for the Main Event, which is why tomorrow’s One Drop tourney is expected to be one of the most talked about of the summer. What will make the $111,111 tournament so enticing is that unlike last year (where $111,111 was taken from every $1 million entry and donated to the One Drop charity) the charitable component of the One Drop High Roller is being handled by Caesars/WSOP/Rio, who will be donating their usual 3% tournament fee, leaving a full $107,777 of each entry for the prize-pool. What will also help drive attendance numbers is the presence of non-poker-pros in the field. Last week WSOP Vice President of Corporate Communications Seth Palansky tweeted out that of the 21 people preregistered for the tournament, 20 are not [pro] poker players. With the prospects of the potential field size eclipsing 200 entrants by some estimations (a prize-pool of well over $20 million) many high-level but not top-tier players have been dropping lines in the water to see if backers are nibbling and are interested in buying pieces so they can play in the tournament, and without a doubt the elite of the poker world will all be in attendance. Realistically, anything short of 100 entries would be seen as a major disappointment, if not an absolute catastrophe, but with the recently concluded GDAM tournament in Macau pulling in 71 entrants (while competing directly with not only the WSOP but also the ISPT) I think the number will be at least 150, with the potential to go far higher. The event will be a three-day tournament, with each player receiving 300,000 chips at the start of Day 1, and the blinds starting at 300/600. The One Drop High Roller tournament is also a full WSOP bracelet event.